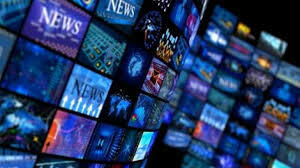 (DTH) and cable TV users had raised concerns over likely high expenditure for multiple connections under new rules. It also clarified that the regulation, as previously stated, provides a capping of Rs 130 as NCF for 100 standard definitions (SD) channels and Rs 20 for the slab of next 25 SD channels. While the new framework aims to reduce DTH prices by giving consumers the freedom to choose and pay only for channels they actually watch. While many consumers have reported a decrease in their monthly TV bill, a large number of consumers feel it has only escalated the bill amount. TRAI, however, believes that DTH prices will come down in 3 months. It says that the new mandate promotes consumer choice and will also provide a fair competition among broadcasters. The regulating body says that is only after a few months of market play that real prices will be discovered. Under the new rules, consumers will also have the freedom to change their channel choice at any time, choosing to add or delete a channel from their pack.